Austrian Army ripstop combat trousers. 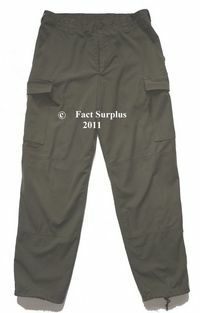 Olive green poly-cotton ripstop material. 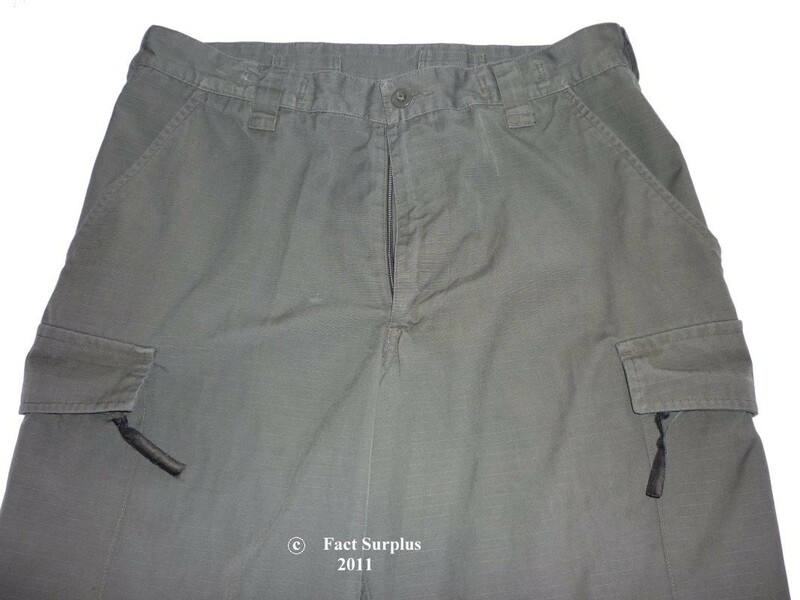 2 side pockets, 2 zip-close leg cargo pockets. 40mm belt loops, zip fly. Elasticated leg ties at leg bottom. Double thickness of material over knee. 32 - 34" waist, 28" leg. Austrian 88-92 I/II. 32 - 34" waist, 30" leg. Austrian 88-92 III/IV. 32 - 34" waist, 32" leg. Austrian 88-92 V/VI. 36" waist, 28" leg. Austrian 96-100 I/II. 36" waist, 30" leg. Austrian 96-100 III/IV. 36" waist, 32" leg. Austrian 96-100 V/VI. 36" waist, 34" leg. Austrian 96-100 VII/VIII. 38" waist, 30" leg. Austrian 104-108 III/IV. 38" waist, 32" leg. Austrian 104-108 V/VI. 44 - 46" waist, 30" leg. Austrian 120-124 III/IV.